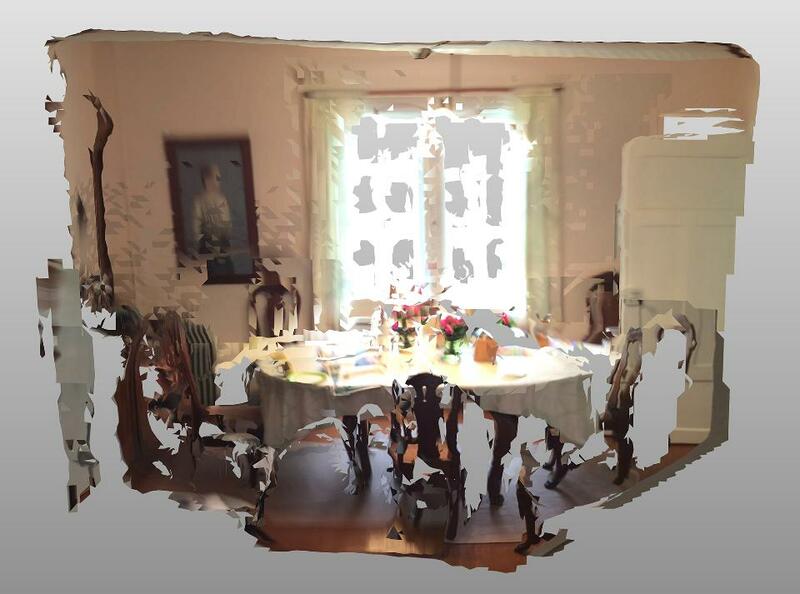 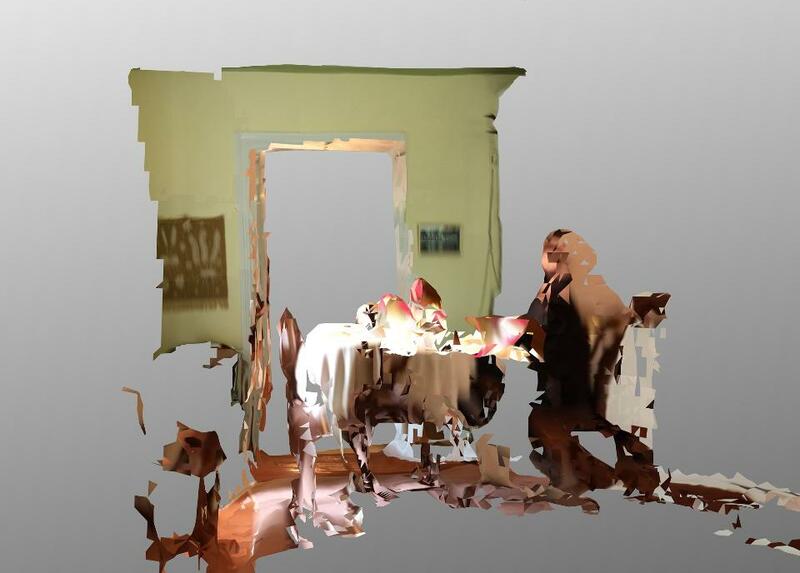 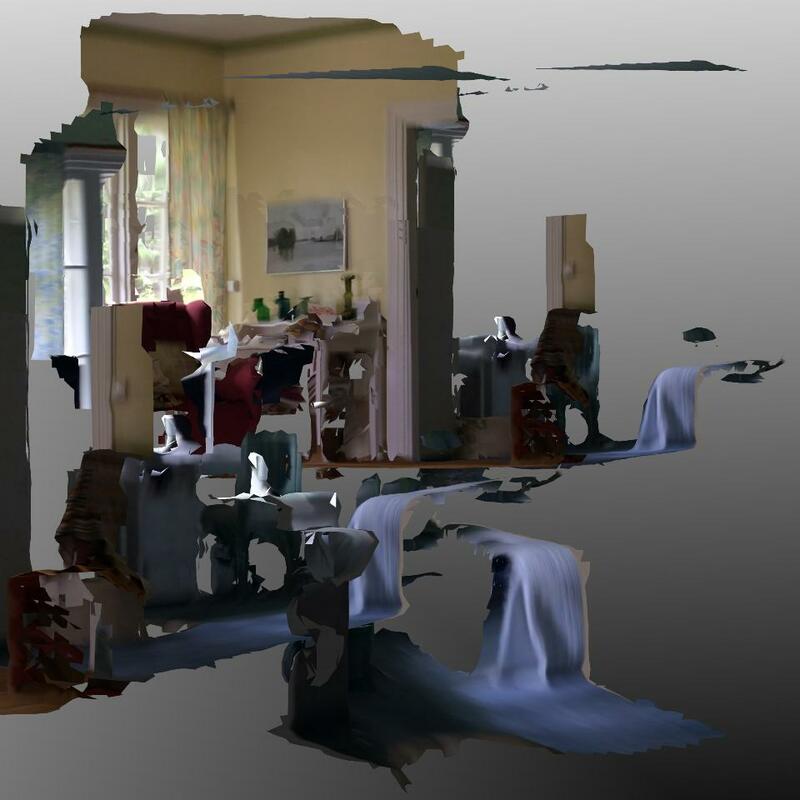 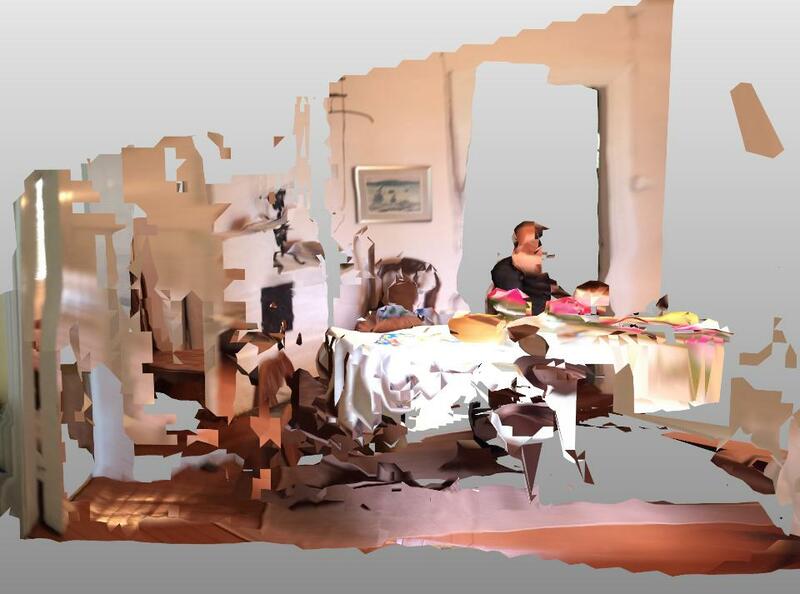 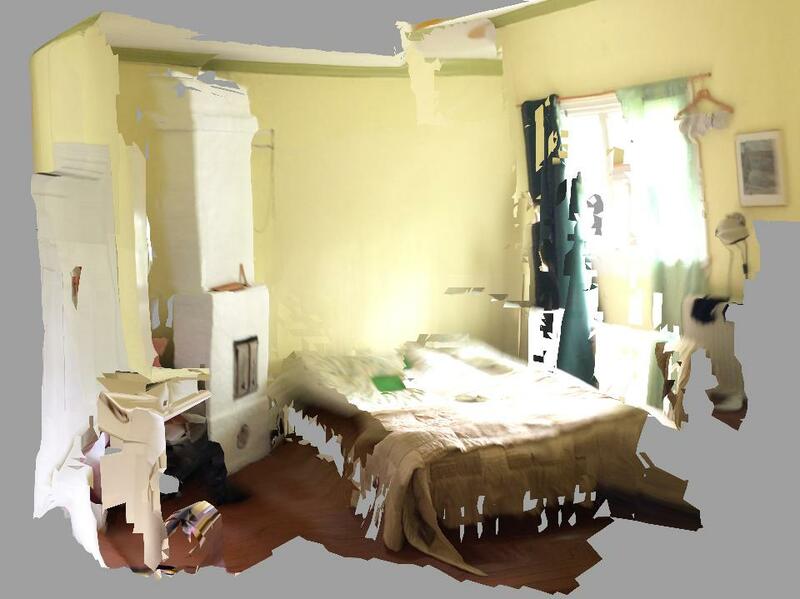 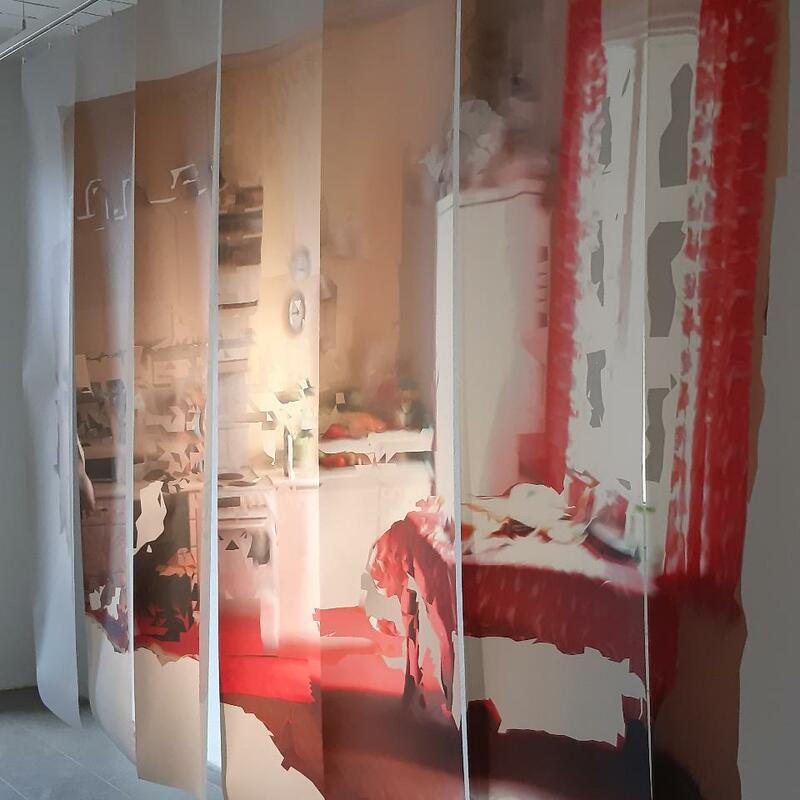 The starting point for the exhibition was the 3D scanning of a 100-year-old house. 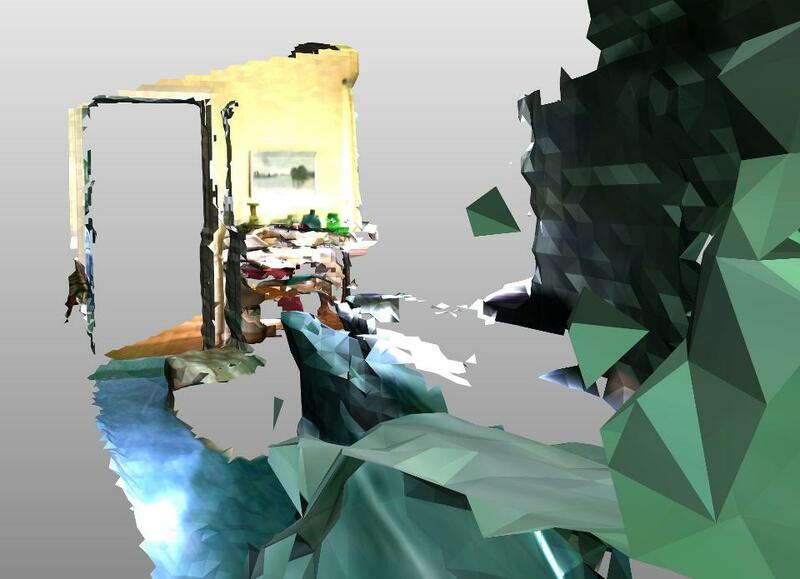 The rooms and items were only partially recorded, leaving the 3D models full of holes. 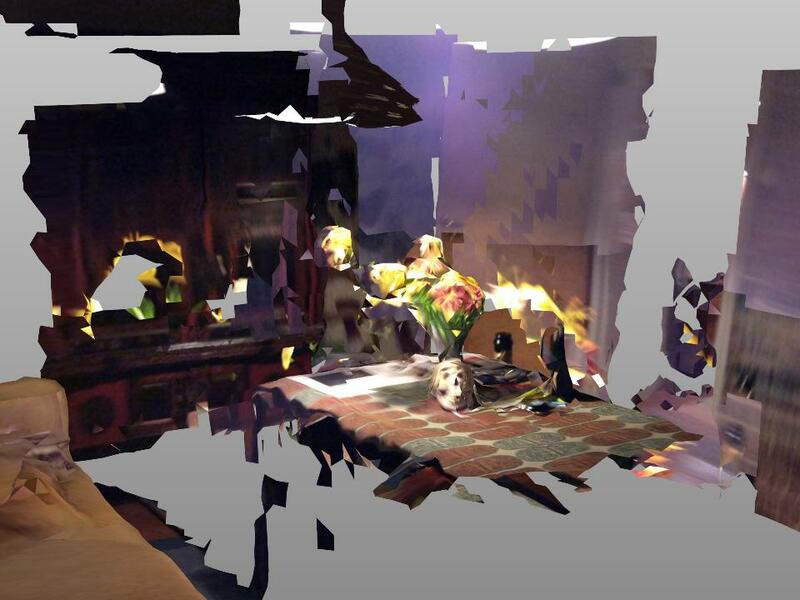 Still, it felt that fragmented 3D models were a great offset for my pieces. 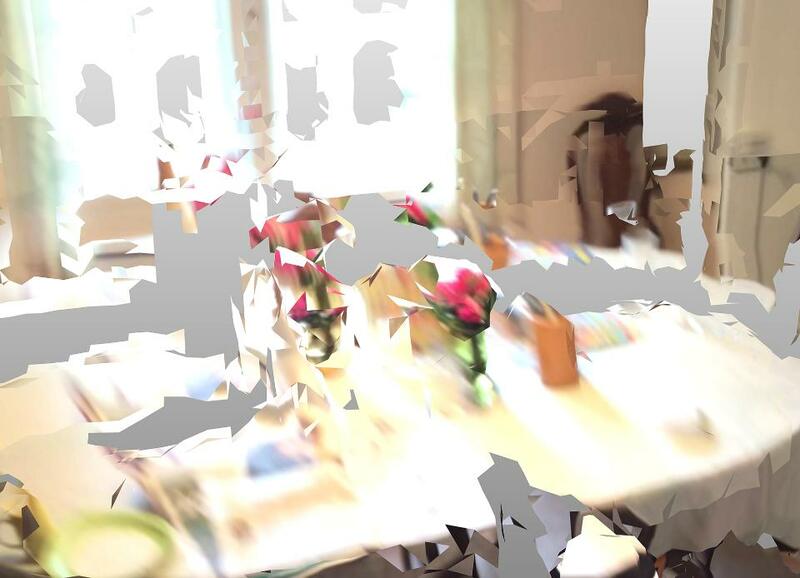 The errors produced by new technology act as a metaphor for the fragility and transience of life and memories. 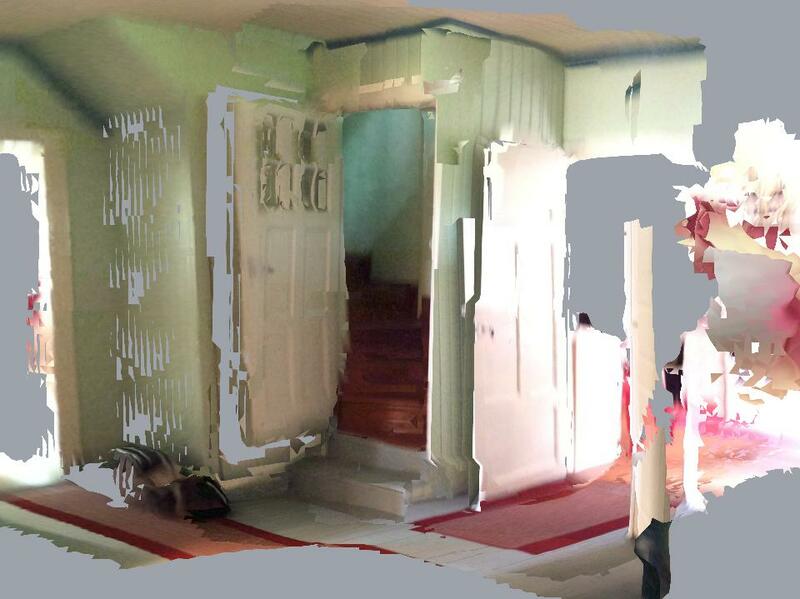 The object is displayed as a shape and an image from various angles in a manner similar to Cubism.